A total of RM23 billion had been allocated to the health sector from Budget 2015", said Health Minister YB Datuk Seri Dr S. Subramaniam. He said despite the increase on the allocation that make up for more than 8% of the total budget compared to last year, it is still a normal amount given to the health ministry. "It will allow us to handle the usual operations and through the new policies, certain emphases can be put in areas such as cancer treatment, haemodialysis, and making a way to develop a new programme." "Out of the RM23 billion allocated, a total of RM11.7 billion goes to pay salaries. This year, the ministry has more than 230,000 employees, which is expected to increase to 260,000 next year." 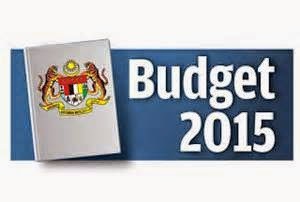 "So, more than RM12 billion will be spent on paying the salaries alone next year. That is nearly half of the budget allocated to us," he said. However, he added that the increased allocation given this year can do more in treating cancer patients, dealing with infectious diseases, dengue control and blood related diseases such as leukemia. "The allocation will allow us to widen the scope of services and activities for the ministry," he said. He also noted that the health ministry is expecting a major transformation on the health sector in the 11th Malaysia Plan and hopes things, including operational, services and management, will be transformed to achieve higher targets.